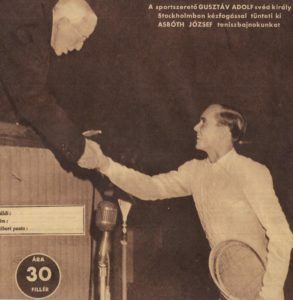 In 1948, Asboth’s goal was to defend his title in Paris. He was seeded as No.2, however 2 days before his scheduled match, he received the mourning news about her mother passing. Next day, Asboth was on the plane back home to Hungary for the funeral. Meanwhile, the Hungarian Communist party did not support the best Hungarian player’s foreign trips, moreover a travel ban was used against him. 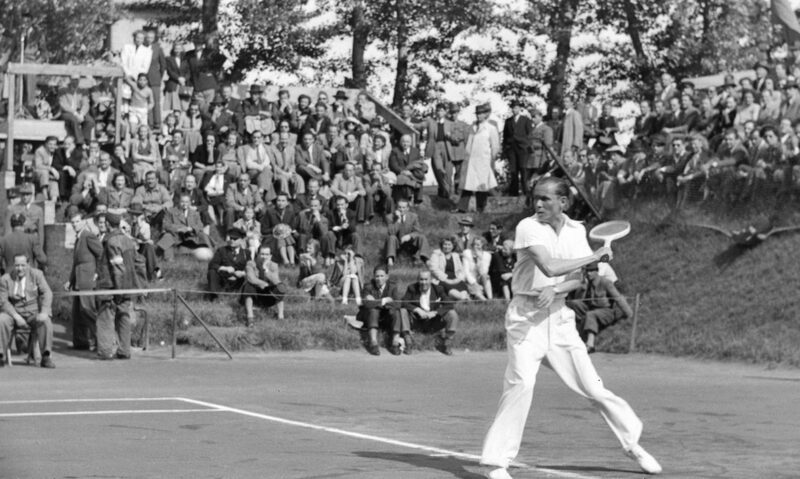 In his prime, the Hungarian (then Communist) government did not let him travel to Wimbledon, thus his great admirer, Swedish King Gustaf V gave a personal warrant to the Hungarian Government that Asboth would return to his homeland and was not going to emigrate. 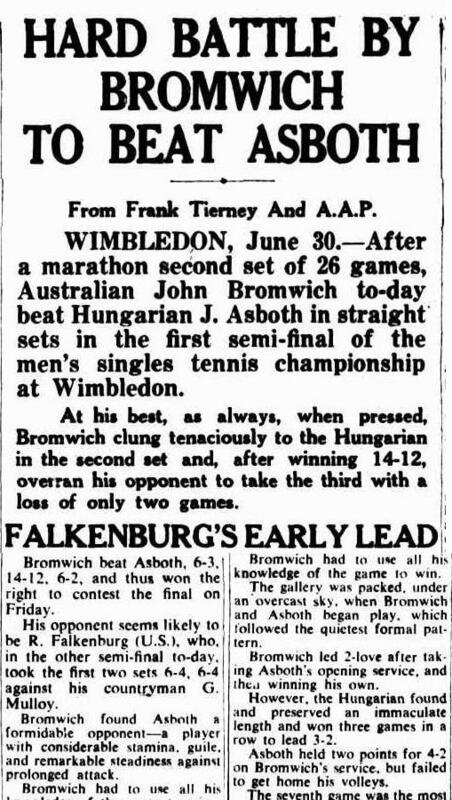 With the “majestic” assistance and intervention, Asboth was able to participate at Wimbledon in 1948 and he reached the semifinals.